Deforestation and forest degradation is identified as one of the most important sources of anthropogenic CO2 in the atmosphere. At the same time forests are capable of offsetting large amounts of carbon, and better forest management is one of the solutions to the worlds climate problem. Through the Government of Norway´s International Climate and Forest Initiative Norway is supporting countries that reduces the loss of forests. One of the main goals of the initiative is to promote conservation of natural forests to maintain their capacity to store carbon. And one important aspect in this is to describe the amount of carbon stored in the forest biomass. 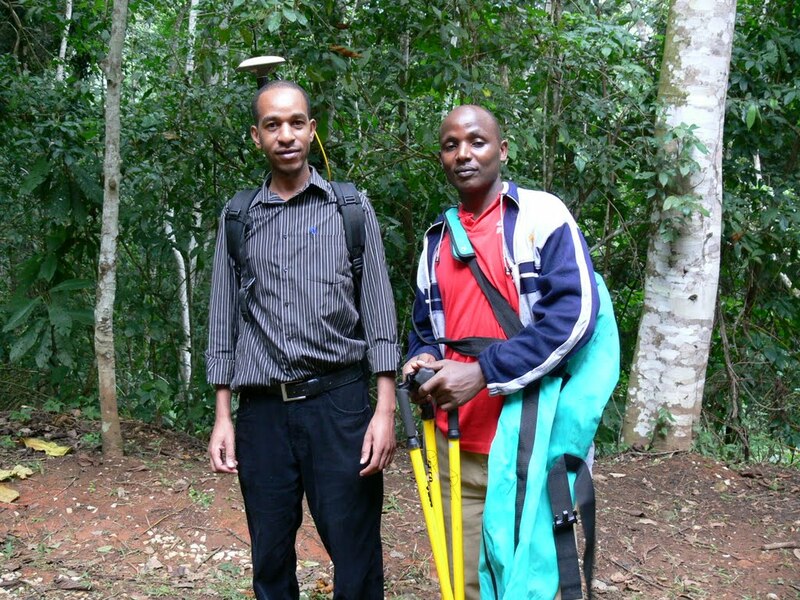 With the use of airborne laser scanning (ALS) we aim to measure the biomass effectively and accurately and have therefore started fieldwork in a tropical rainforest in Tanzania. The Amani Nature Reserve is located in the East Usambara mountains in eastern Tanzania which in turn are part of the Eastern Arc Mountains. Identified as one of 25 global biodiversity hotspot areas the Eastern Arc stretches from Udzungwa in Tanzania in the south to Taita Hills in Kenya in the north. The reserve covers an area of around 8400 hectares of tropical rainforest. Since the late 1950s up to the late 1980, when the process of protecting the area started, there were mechanical logging on ca 80 % of the area. The reserve was gazetted in 1997 and there is practically no timber harvesting inside the reserve and despite the previous logging most of the area has a relative high stocking and biomass and around 200 indigenous trees-species. Covering the reserve there are 175 systematically distributed sample plots on the ground, already measured. And at the moment we are positioning these plots accurately using survey-grade differential GPS- and GLONASS-receivers. The information from these plots will be used to develop and validate biomass models from the laserdata. This entry was posted in Tanzania and tagged Biomass, Laser, LiDAR, National forest inventory, Rainforest, Tanzania by Hans Ole Ørka. Bookmark the permalink.